Humphrey Clucas (b. 1941) may not be a household name, but he’s a man of many parts. My own introduction to him was via his book, “Through Time and Space to Roam: Essays on A.E. Housman” (University of Salzburg, 1995), in which is appended his song setting of “Into My Heart An Air That Kills”. This set me on the trail of Clucas the composer – hence the present CD. 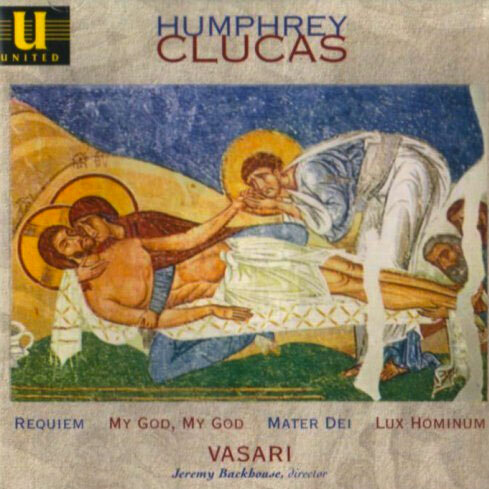 At the time of recording (1994) Clucas was Lay Vicar of Westminster Abbey, so it is not surprising that the bulk of his output is rooted firmly in the English choral tradition. The works included here set a variety of texts from the Bible or the Christian tradition. The centrepiece is the beautiful “Requiem” of 1988. The other pieces are: “My God, My God” (a setting of part of Psalm 22), “Mater Dei”, and “Lux Hominum”. The texts used by Clucas are, on the whole, of a solemn or contemplative nature, and this is aptly reflected in the settings, the style of which is constrained by the religious tradition in which the composer is writing. Although he is described as self-taught, his music seems as sure-footed as that of many with a more formal background in the discipline, and the excellent Varasi Singers, directed by Jeremy Backhouse, do his music full justice. Those who enjoy the choral sound-world of Howells, Leighton, Rubbra, and others of that ilk, will enjoy Clucas. The accompanying booklet is informative, though a little hard on the eye, and the texts are printed in full (not always a given, these days), with English translations of the Latin where necessary. A CD to be recommended.